What Are The 4 Types Of Dental Crowns And How Can They Repair My Smile? Your dentist performs different types of procedures at any one time depending on the condition of your teeth. Cavity fillings are some of the most common dental procedures, but sometimes dental crowns are needed, too. Dental crowns, also known as tooth crowning or a cap, are prosthetics that are cemented to your tooth to cover and strengthen a damaged tooth. This not only helps to keep the tooth from decaying further but also helps with the overall appearance of the tooth. 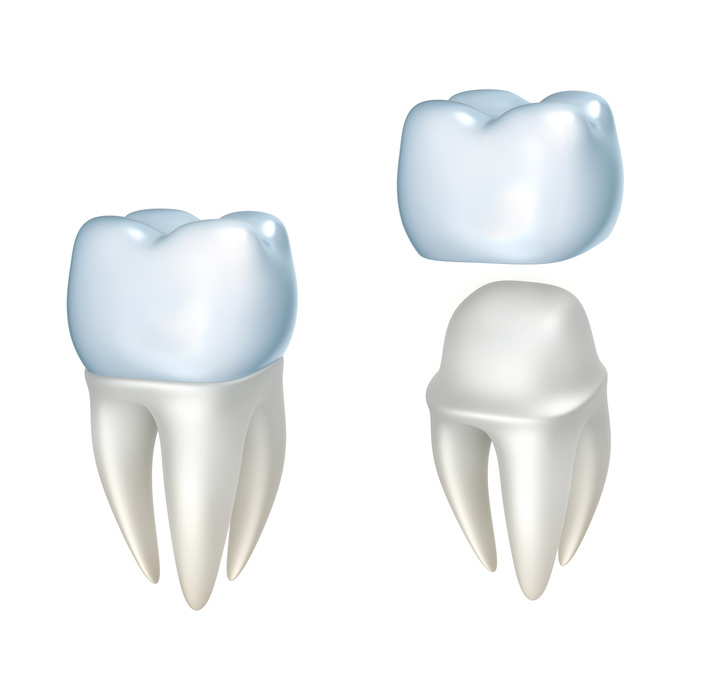 What Are The 4 Types Of Dental Crowns? Yet, dental patients may not be aware that there are different types of dental crowns and what kind of functions they serve. That said, here are the four different types of tooth crowning and what they’re used for. Ceramic. Ceramic crowns are often used for restoring the appearance of the front teeth. Like veneers, these crowns are porcelain-based to blend with your natural tooth color. Base metal alloys. These crowns are made of non-noble metals, which makes them very strong. This makes them a good fit for molars. Gold alloys. These crowns are also a good fit for molars because they’re made from gold, copper, and other metals which wouldn’t match the natural tooth colors of your front teeth. They provide a strong bond to the tooth and won’t fracture. Porcelain-fused to metal. The metal structure of these types of crowns makes them very durable. This makes them a good fit for teeth that aren’t quite at the front of the mouth but are more noticeable compared to the molars. Tooth crowning can be used to hide damaged teeth that affect your smile aesthetically or functionally. They can also last a lifetime if properly maintained by brushing and flossing twice a day. Who Can I Call For A Cosmetic Tooth Crowning Or Teeth Whitening? If you’re in need of a cosmetic tooth crowning, you’re not alone. Approximately nine out of every 10 Americans over the age of 20 suffer from some kind of tooth decay, which can affect the aesthetic appearance of your teeth. Fortunately, whether you’re need of a professional tooth crowning, teeth bonding, or dental veneers, Dr. Derek Wall is here to help. For more information about our Panama City dental services and how we can work together to improve your smile, contact the offices of Dr. Derek Wall today.